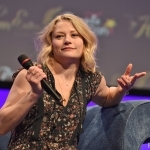 Emilie de Ravin Fan | Your Oldest and Largest Source for EdR » » Big Events Update! Jan 17, 18 Appearances and Events, Gallery Comments Off on Big Events Update! Happy New Year, Everyone! Just wanted to make a post that I’ve added lots of new photos and upgrades from events and cons Emilie attended throughout 2017.